Methotrexate (MTX) is a drug commonly used to treat cancer, autoimmune diseases, rheumatoid arthritis, etc. While it aids in the treatment of the above mentioned diseases, over time it leads to hepatotoxicity. 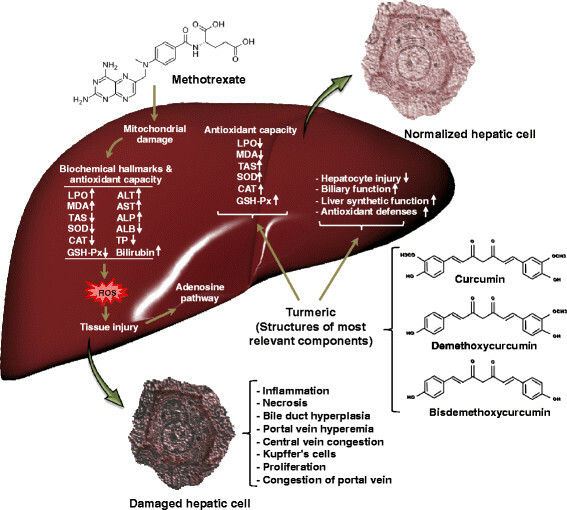 Hepatotoxicity is defined as liver damage driven by chemicals. 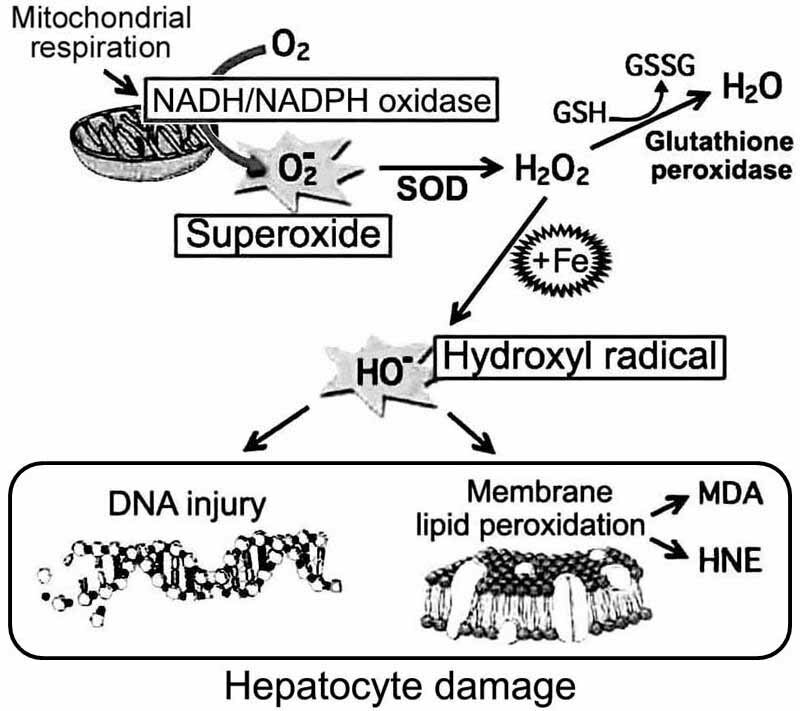 There is no evidence of the entire mechanism of how MTX causes hepatotoxicity. However, it has been found that the antioxidant defense regulation mechanism gets disrupted leading to oxidative damage of liver cells. This adverse effect has been alleviated by pre-administration of Turmeric and this was proven experimentally. The powerhouse of a cell (Mitochondria) is a target for oxidative stress. Mitochondria is balanced in a steady state by enzymatic and non-enzymatic reactions. MTX causes mitochondrial damage via depletion of the above reactions. In the above picture, it is clearly depicted that the enzymes like SOD, Glutathione peroxidase etc. helps in the maintenance of a steady state in Mitochondria. Methotrexate causes reduction in SOD, Glutathione peroxidase. This leads to more production of hydroxyl radical according to Fenton Reaction. This hydroxyl radical targets macromolecules leading to damage. MTX also causes accumulation of reactive oxygen species (ROS) which cannot be overcome because of the disruption of the antioxidant defense mechanism which leads to tissue injury. Turmeric is a herb that is widely used in Asian culture and cuisine. Turmeric is also widely applied in the therapies of cancer, diabetes, etc. Turmeric has the potential to protect against hepatic damage and alleviate lipid peroxidation. Previous studies have proven that curcumin a compound in Turmeric could cure hepatic injury. Folate therapy has also produced good results. However, whole turmeric extract have not been investigated yet. In this experiment, turmeric extract have been pre-administered orally followed by MTX dose to Wistar Albino rats to see its effect on preventing hepatotoxicity. The rats were divided into control and test groups. The test groups had turmeric extracts being given at 100mg/kg and 200mg/kg. Histopathological analysis, serum biochemical factors evaluation, liver lipid peroxidation assays, measurement of antioxidants was done. The result of the experiment is well described in the diagram above. It shows that pre-administration of Turmeric helps to alleviate hepatic injury and improve antioxidant defense mechanism of liver. In particular, the pre-administration of 200mg/kg turmeric has proved to work the best when compared to other groups. It can be concluded that Turmeric prevents hepatotoxicity. It also has scope for future applications as an additive together with MTX anticancer drugs. Its potential to alleviate other damages occurred because of harsh treatments like chemotherapy, etc. should also be investigated. 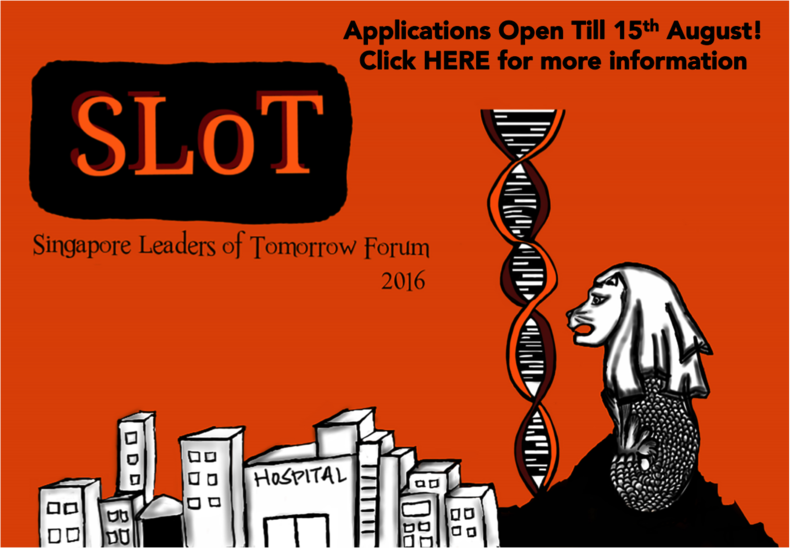 VetiGel: A gel that stops bleeding instantly, a boon to Emergency Medicine!